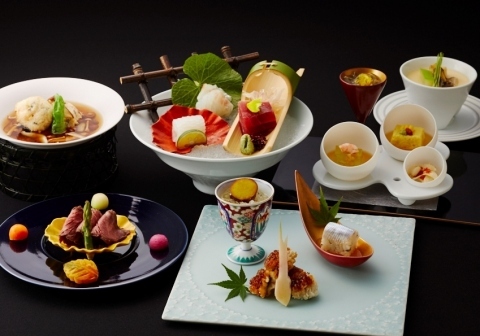 Keio Plaza Hotel Tokyo (KPH), one of Japan’s most prestigious international hotels located in Shinjuku, Tokyo, will host the “38th Arita and Imari Porcelain Exhibition – From Origin to Modern Style” from July 1 (Sunday) to August 1 (Wednesday), 2018, introducing to guests the Arita and Imari porcelain, the first ceramics made in the southern island of Kyushu, Japan. Art items representing the Ko-Imari and other styles of porcelain will be displayed in exhibition. Also, seven renowned and modern porcelain makers from the Arita and Imari regions of Saga Prefecture will display their products and be available for sale. In addition, eight of our restaurants will serve specially prepared foods using porcelain from the Arita and Imari regions. Many guests can purchase porcelain products after dining at our restaurants and actually seeing and feeling how they are used to accentuate foods. This year marks the 38th time that this exhibition has been held, and is a reflection of the strong interest in Arita and Imari porcelain products. This exhibition is also designed to provide our international guests, who account for over 75% of total guests, with an opportunity to experience the beauty of Japan’s traditional Arita and Imari porcelain products. This year’s exhibition will focus upon “Ko-Karatsu” and “Ko-Imari” porcelain established in the southern island of Kyushu. “Ko-Karatsu” is known for its simple and sturdiness during the reign of the Lord Toyotomi in the late 16th century. “Ko-Imari” became popular art items amongst European aristocrats during the 17th century Edo Period. Beautiful porcelain items made by the renowned pottery makers that have evolved over the 400-year history of the art will be on display. Keio Plaza Hotel Tokyo, located in Shinjuku at the very heart of the nation’s capital Tokyo, is one of Japan’s leading international hotels. Our hotel boasts of over 20 restaurants and bars, and we host a wide range of local and international guests who visit us for our welcoming facilities, warm hospitality and unique services that allow them to experience Japanese culture, including our Hello Kitty themed rooms and Japanese cultural experience programs. For more information about our facilities and services, please visit our website, YouTube, Facebook or Instagram.